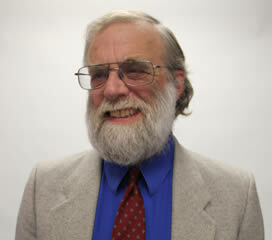 Ed Anisman joined Interactive Resources in 1977, armed with a B.A. in Architecture from U.C. Berkeley and a formative two-year VISTA Volunteer term spent in Fayetteville, Arkansas. He quickly became an integral part of the architecture division and today is a principal project manager and a lead architect with the firm. Ed is involved with all phases of new construction and alteration projects, feasibility studies, schematic design, preparation of contract documents, and construction administration. He is an expert roofing, weatherproofing, and accessibility, and his understanding of construction technology is called on for construction defect litigation and forensic work. Ed compares the field of architecture to a pyramid or iceberg, with aesthetic design at the pinnacle, and a vast body of technical knowledge supporting it beneath the surface. The durability of the whole relies on an understanding of the importance of material selection and how building elements interact in real conditions. He enjoys the challenge of designing well-built structures that last. Ed is an amateur photographer and student of the violin. He also studies Yiddish and serves on the board for KlezCalifornia, a nonprofit organization that celebrates Yiddish culture and music.